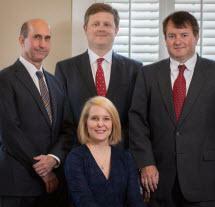 The law firm of Bailey, Womble & Yelton was originally founded in 1967. There are currently four attorneys available to individuals in the mid-south region in and around Batesville, Mississippi. Our attorneys utilize state-of-the-art technology and cost-effective methods to provide timely, client-oriented services. Our approach focuses on our client's needs, and we maintain an ethical, friendly and professional environment.